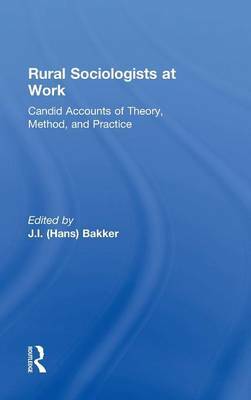 This collection of original chapters, written by prominent social scientists, elucidates the theory and practice of contemporary rural sociology. The book applies lessons from the careers of sociologists and their field research endeavors, covering a wide range of topics: agricultural production, processing, and marketing; international food security and rural development; degradation of the bio-physical environment across borders; and the study of community, family, health, and many other issues in an increasingly globalized world. The authors' candid accounts provide insight into possibilities for enhancing opportunity and equality and serving basic human needs.